This book has been on my TBR list since it came out that she was writing it. 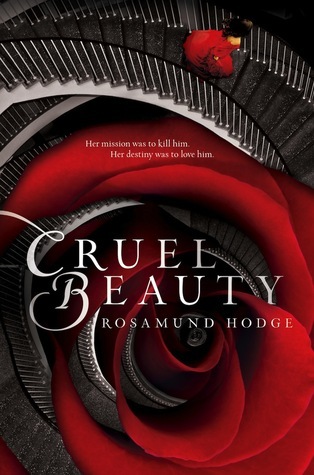 I quite enjoyed Cruel Beauty despite its issues, and I expected to really enjoy Crimson Bound. As most of you know, I have had a few bumps in the road when it comes to retellings, but I swear, I enjoy Hodge’s retellings even more than I expected. When Rachelle was fifteen, she was good--apprenticed to her aunt and in training to protect her village from dark magic. But she was also reckless--straying from the forest path in search of a way to free her worlds from the threat of eternal darkness. After an illicit meeting goes dreadfully wrong, Rachelle is forced to make a terrible choice that binds her to the very evil she had hoped to defeat. A Beauty and the Beast retelling? Count me in! As a lover of books, obviously, my favorite Disney princess was Belle, so of course, I could not say no to something like this.